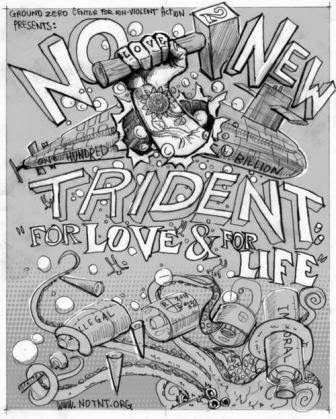 Welcome to the NO To New Trident Campaign. 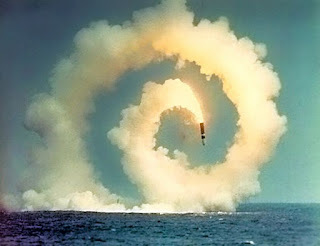 This Blog will be at the heart of communicating with you about the campaign to stop production of the US Navy's next generation ballistic missile submarine. The SSBN(X), as it is called by the Navy, will cost nearly $100 billion just to build 12 submarines. This project, just like many other projects to modernize the US nuclear weapons infrastructure, is sending the obvious message to other nations that the US has no intention of honoring its obligations under the Nuclear Non-Proliferation Treaty to make good faith efforts towards disarmament. The Blog is under construction, and will be ready soon. The URL for this Blog is notnt.org. You can sign up to receive our newsletter, announcements and action alerts as we work to eliminate this wasteful and destabilizing nuclear weapon system project, and reallocate these funds for human needs.